This beautiful and functional split floor plan with spacious kitchen/great room and formal dining room is perfect for entertaining guests! 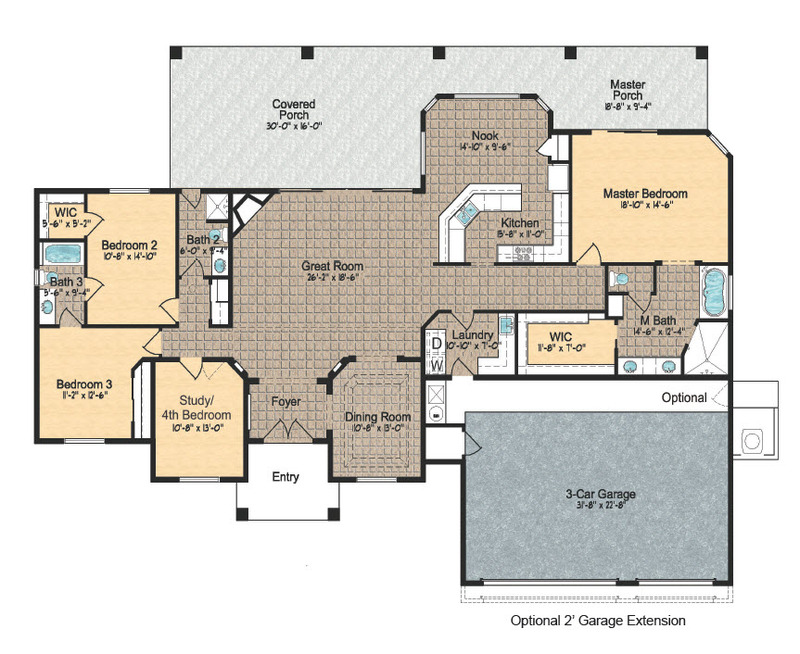 This plan offers 3 bedrooms with either a 4th bedroom/study option, plus 2 3/4 baths. A myriad of standard features include a finished 3-car garage, front yard landscaping, walled-in back yard, fireplace, granite kitchen countertops, GE Stainless Steel appliances, extensive ceramic tile, executive height vanities, granite countertops and picture framed mirrors in all baths, just to name a few!